Bhuail An Bord Bainistíochta ar an Mháirt, An 29ú Eanáir, 2019 ar a 7.30 i.n. Tá athbhreithniú á dhéanamh ar an bplean teagmhais chriticiúil. Lorgófar tuairimí na páirtnéirí uilig san oideachais (foireann, Bord Bainistíochta agus Comhairle na dTuistí) sula mbeidh an dréacht deireanach daingnithe ag an mBord Bainistíochta. Tá seachtain na scoileanna Caitliceacha á chéiliúradh sa scoil faoi láthair. Tá gach rang gníomhach ag múineadh an curaclam teagasc Críostaí agus ag céiliúradh lá fhéile Bríde. D’fhreastal na meán ranganna agus na h-ard ranganna ar aifreann i Séipéal na Trá ar dhá lá diriúil. Ghabh an Bord buíochas leis an gcléir agus leis na múinteoirí as na síolta Creidimh atá á chur agus a scaipeadh acu sa scoil gach lá. Céiliúrfar lá na seantuismitheoirí agus na seancháirde ar an Aoine, An 1ú Márta. Beidh cuireadh scoile tugtha do sheantuismitheoirí nó do sheancháirde dos na daltaí sna naíonáin agus sna h-ard ranganna agus déanfar céiliúradh leo sa halla. Bhí cruinniú eolais ar siúl sa scoil ar an Luan, an 21ú Eanáir do thuistí agus do chaomhnóirí na naíonáin nua a bheidh ag tosnú sa scoil ar an gCéadaoin, An 28ú Lúnasa. Beidh lá ionduchtúcháin sa scoil dóibh ar an Mháirt, An 11ú Meitheamh. Tá an coiste garraíodóireachta gníomhach ag obair ar céim a dó den gháirdín scoile. Tógadh trí bhláthcheapach sa chlós mór roimh na Nollag agus tógadh trí cinn eile i mí Eanáir. Buailfidh an coiste garraíodóireachta ar an Luan, an 11ú Feabhra chun obair an Earraigh sa gháirdín a phleanáil agus a eagrú. Rinneadh suirbhé ar foireann na scoile agus ar tuismitheoirí na scoile ina h-iomlána maidir leis an gcineál t-léine scoile gur chóir a chur leis an gculaith reatha scoile nua. Léirigh torthaí na suirbhéanna go bhfuil an t-éileamh is mó ar an dt-léine bhán le suaitheantas na scoile uirthi. D’aontaigh an Bord Bainstíochta gur chóir meas a léiriú ar mhianta an tromlaigh. An dáta ionchais don chulaith reatha scoile a bheith ar fáil ná deireadh mí Feabhra. Pléadh an turas gaeltachta atá á eagrú ag Príomh-Oide Caitríona Ní Riada do dhaltaí i Rang 6. Rachaidh daltaí ó Rang 6 chuig Ceann Trá i gContae Chiarraí ar an 27ú Bealtaine agus fillfidh siad thar n-ais ar an 29ú Bealtaine. Beidh an Príomhoide, an Príomhoide Táinisteach, múinteoir agus cúntóir riachtanais speisialta leo. Beidh pacáil málaí ar siúl i SuperValu ar an Aoine, An 3ú Bealtaine chun praghas an turais a laghdú dos na daltaí. Beidh an chéad chruinniú eile den Bhord Bainistíochta ar an Mháirt, an 5ú Márta, 2019. The Board of Management of Gaelscoil Choráin met on Tuesday, the 29th of January, 2019. The following is the agreed report from the meeting. The Board of Management are currently updating the schools critical incident plan. The opinions of the partners in education (staff, Board of Management and Parents Council) will be sought prior to the ratification of the final draft. Catholic Schools Week is currently being celebrated in the school. Every class is busy engaging with the Religious Education curriculum and marking the celebration of St. Bridget’s Day. Students in the middle and in the senior classes recently attended morning mass in the Strand Church on two separate days. The Board thanked the clergy and the teachers for setting and spreading the seeds of Faith on a daily basis. Grandparents and grandfriends day will be celebrated in the school on Friday, March 1st. Grandparents and grandfriends of students in the infant and in the senior classes will be invited to join us in the school to mark the celebration this year. An information night for parents of new incoming infant students was held in the school hall on Monday, January 21st. The school will formally welcome the new infant cohort on Wednesday, August 28th. An induction morning will be held in advance in the school on Tuesday, June 11th. The school gardening committee are busy working on phase two of the development of the school garden. Three flower beds were built in the back yard prior to Christmas and three more were built in January. The gardening committee will meet on Monday, February 11th to discuss, to plan and to organise Spring work in the garden. The staff and parents of the school were surveyed regarding the type of t-shirt that they would like to accompany the new school tracksuit. The results of the survey revealed that the highest percentage of those surveyed wish to retain the current white crested t-shirt. The Board of Management agreed that it was important to respect the wishes of the majority. It is anticipated that the school tracksuit will be in stock and available for purchase by the end of February. A discussion ensued on the gaeltacht trip for students in Rang 6 which is currently being organised by Príomh-Oide Caitríona Ní Riada. It is anticipated that students in Rang 6 will attend the gaeltacht in Ventry in West Kerry from May 27th to May 29th . They will be accompanied by the Principal, the Deputy Principal, a teacher and an SNA. The students will bag pack in SuperValu on Friday, May 3rd so as to raise funds to reduce the overall cost of the trip. 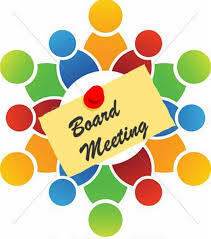 The next meeting of the Board of Management will be on Tuesday, March 5th, 2019.